The artistic tribal traditions they encountered in their African forays particularly fascinated these Portuguese adventurers. Unlike art from the Western world, the African artefacts created down the centuries always had a distinct function and meaning. 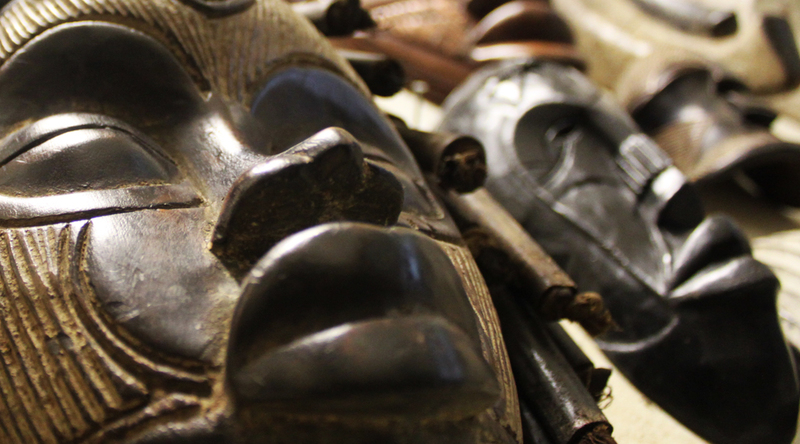 African works of art were not artworks in the aesthetic sense, but ritual items — tools and instruments possessing a strong symbolic value, which right up to our day are of fundamental importance in African culture. Typically, what the outside world views as artworks are decorated ritual objects used during tribal initiation ceremonies, fertility rituals, or related to family ancestor worship. In the early twentieth century, such seminal European artists as Pablo Picasso and Henri Matisse drew fresh inspiration from so-called “primitive” sculpture and design. Picasso incorporated the ceremonial masks of the Dogon tribe into his groundbreaking cubist work, “Les Demoiselles d´Avignon” (1907-09), and Matisse drew upon African motifs to unite bold color and ceremonial patterns. It is well documented that African art forms inspired the European avantgarde, since “primitive” art represented a rupture with the art for art’s sake which characterized western tradition. Members of the modern expressionist group, COBRA (an acronym for COpenhagen, BRussels and Amsterdam), including the Danish painter Asger Jorn, sought inspiration from indigenous African themes.